Verge Currency hired an Marketing Manager. Hopefully the chaos with announcements, fake news and deadline would be eliminated and coders will code, PR manager will announce and care about smooth grow or stability with some break outs at important timepoints. 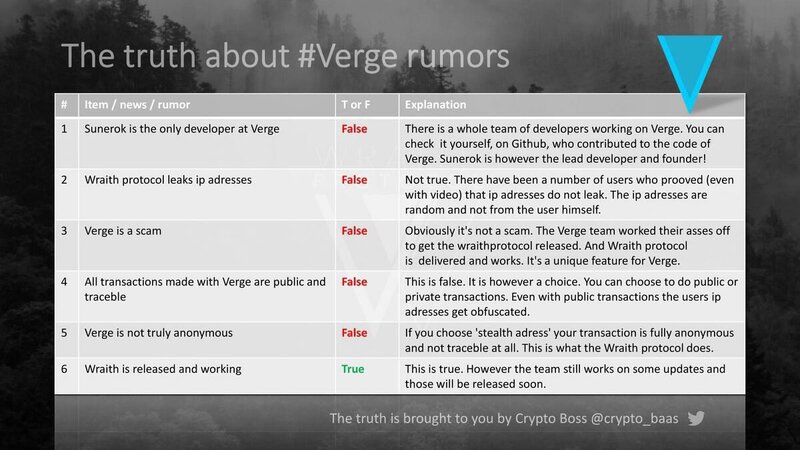 Comment: Verge successfully published and implemented the new wraith wallets for Windows and MacOS. This is a great milestone for Verge! There are now only fine-tuning to fix the last few bugs before the official announcement. So most you can have is 15-20% if you will sell now and hope to buy at 13 cent. Hopefully it should pick up in a weeks time. All the best.